Do you consider yourself a gifted photographer? 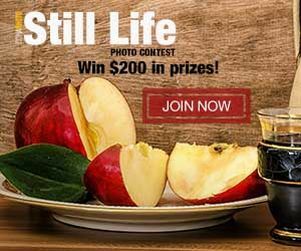 Have you got what it takes to compose the best still life image? Get your creative juices flowing and share some of your best still life photos with us!